Mr Shahrukhkhan ! – Touch the world ! As many of you know I am coming from Iran and come from Tehran ,the capital city of Iran . I’m coming from a middle class in economy and higher class in culture . Reason for giving this description maybe is very sensible with those who are familiar with Iran . And no point of mentioning so much about it more ! I just remember those days which I used to be very young And my family used to be a very in touch and familiar with music and movies . You maybe would know my childhood and teenager time used to be confronted by first decade after Islamic revolution of Iran . In that era of communication and new satellites technologies used to be minus zero and access to new movies , medias,a and shows ,musics , any entertainment clips used to be difficult to access. And even maybe for us confronted by danger of legal punishment and so on so far , therefore watching movies and TV shows and music clips was a core of families or friendships to come together in the evenings and nights as parties with target of watching new clip or movie of “X” person or group ,So always Indian movies was one of the strongest field of them in my place . Relation of the Bollywood with iranian cinema’s industry is not just for today or yesterday . It’s a really for long time and rooted in dacedes . I just remember the family and friends memories about their cry and laughing of them during watching Indian movies in our saloons . My grand mother from higher class economy and society member who used to cry and laugh with Sholay as much as with Zamaana Deewana Shahrukhkhan similar to a grandmother from lower ones of another person. I heard many memories from them about their emotional times which had and whenever were trying to talk about those stories again it used to come back up lively to them up .So all this brief was about how is the relation of Iranian’s Society about The fine Art , Cinema, Movies etc. And today after being the audience of Bollywood movies and musics from the TV . After many times wishing of at least trying one time any of those colorful sarees , clothes , skirts , after wishing having any beloved like the Shahrukhkhan or any other heroes as m y own beloved . 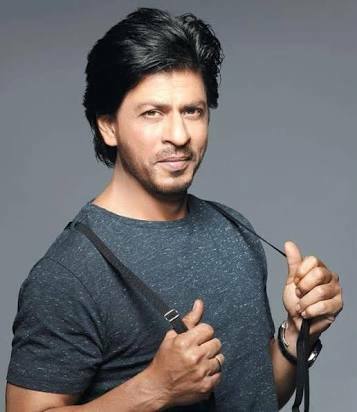 After all today I am here in India , presently today is close by five years which I am living in India and I finally found my beloved Indian hero and The most important point which motived me to write about today is , I saw him , “Mr Shahrukhkhan”. It supposed to be very close by not only ten meters or any thing like that , perhaps he used to perfirm his show almost in one step far from me . And it was great show and awesome speakers and talks with TED in Mumbai/ India which hosted with #Shahrukhkhan in #Yashraj Studio ,One of great Studios of India . It was amazing experience of attending the event and used to be a great combination of enjoying the present of Shahrukhkhan and having a wonderful event of Ted . And other part of the story is coming up when he was almost finished the show and just have tried to come up between audiences and give them kind and kind again. He used to come to our seats row as well . I could meet him closely and shake his hand and finally could hug him . Simply Like a family member or so on.there was nothing in sense of selfishness or ego in this personality . He was cool and calm and without any prejudice or ego on his eyes . Cool and confident was and continuously in looking at people eyes and was spreading the kindness during the show presentation as well as during goodbye greetings with audience’s eyes to eyes as it is the core of TED protocol . TED also will spread kindly information and that’s it . It’s New generation of the world after 2nd world war which spread the information and data without intention of the race and ethnicity , No discrimination and no differ in spreading the words . Give access to every body to use and grow . That’s the any social activist wish in the present age of world to have a world with this regulation without any region name . With wish also cutting of the region word from the dictionaries as well to make a big region for the humanity and not in capitalism concept of that . Want to say I have achieved my wishes , my young ages wish today fulfilled completely , I met my beloved here and am married to Indian beloved ones and could meet one of my young ages hero. I would like to thank of #TED , #Tedxpune both for giving me the great chance of being part of them in long and short . Being core organizer of the #Tedxpune gave me chance of attending the #Ted meeting of the Mumbai hosted by #Shahrukhkhan . And in finall , jai Iran , jai hind . Copyright is reserved by writer . Next Post life is Rigid !